Kleenex has designed these hard roll towels to provide superior hand-drying performance with their Absorbency Pockets. The absorbency pockets absorb water fast, for quick and efficient hand drying, allowing for less towel use and helping to cut down on waste. The soft feel and premium performance in these 1-ply roll towels is nothing new for Kleenex, a name brand consumers have trusted for years. These environmentally conscious hard roll paper towels contain a minimum of 40% post consumer waste content, meeting EPA standards. In addition, Kleenex has packaged these hand towels in a smaller Carton to allow for easier handling and storage. 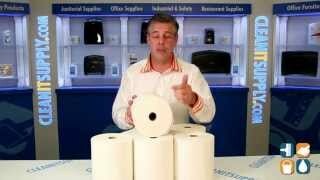 If you are looking for high quality, affordable paper hand towels, look no further. 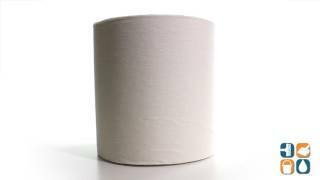 Get some 1-ply Kleenex Hard Roll Paper Hand Towels today!